Noah Gundersen is most likely the best songwriter of his generation. In one interview, he explained that he’s hoping to shape his career around things that “endure.” His career, we’re quite certain, will indeed endure. Known early on for his dreadlocks and crackling sincerity in his voice, Gundersen recently chopped his hair and is working towards a mature solo act. He performs with his sister Abby, who is an amazing violin player worthy of a spotlight all her own. Their familial vocals and awesome stage presence leaves all of us not living in the Pacific Northwest wanting for more. Gundersen’s lyrics on a variety of songs for the past few years have consistently been hard hitting. Never afraid to tackle tough problems or hard topics, Gundersen writes about some of the most complicated themes in the world today including religion, politics, and well, of course love. He approaches these subjects with an honesty that is humbling and endearing to listen to. It’s as if he lets us into his world, his mind, and his heart in a gorgeous, genuine way. In some ways, he’s the kind of artist I don’t want to tell anyone about because I want to keep him all to myself. Noah’s been performing with his sister Abby Gundersen for years and that’s evident in the recordings. His first major project was Saints and Liars, an album available on his bandcamp. It’s got an intriguing balance of songs that, although strongly in the folk/acoustic genre, are all in a wonderfully characteristic Noah Gundersen style. His whispery vocals mixed with his sister’s harmonies makes an exceptionally comfortable sound that keeps us coming back for more. The highlight of the Saints and Liars album for me, aside from Gundersen’s overall killer songwriting on the varied styles of songs like “Ring a Bell” versus “The Ocean,” was his salvo on religion. Gundersen’s song “Jesus, Jesus” is honestly one of the most intriguing philosophical songs that I’ve heard ever. Not only does he question traditional Christianity, but he does so out of a scathing indictment of Christian people. Knowing Gundersen’s own deep past with faith, it’s obvious the song is evidence of his own spiritual grappling. The implicit questions about love and politics as they interweave with faith make for a great song. The song itself is comforting and encourages listeners to engage with the lyrics more than the melody and, in this case, that’s okay. 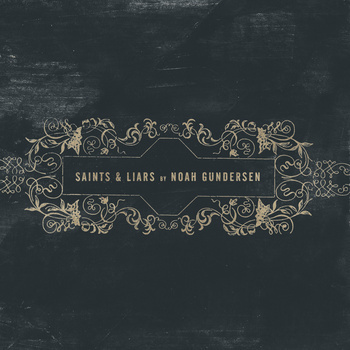 After Saints and Liars Gundersen released another full album titled Family in 2011. 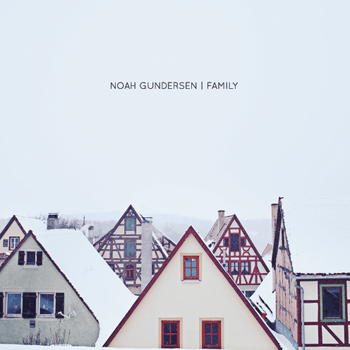 Noah sings with his sister Abby and occasionally performs with other siblings as The Gundersen Family, so it is awesome that he named his album after all of them. His lyric on the opening song “David” Gundersen sings that he wants to be “a little less like my father and more like my dad.” It’s that type of intriguing engagement with real life, things that regular people can connect with, that really makes his music so good. Family is not really a change in Noah’s musicianship much, but it does exhibit an intriguing evolution in his songwriting. The sound is generally the same, but the lyrics of the songs seem to flow even a bit better. Each song has a particular and poignant message. It’s that kind of songwriting that will vault Gundersen into the stratosphere of this generation’s writers. My favorite part of the Family album is the “San Antonio Fading” track, which is about an older couple. Written from the perspective of an old man singing to his wife, the song is full of sweet memories that seem impossible for Gundersen to have on his own. Again it’s an indication of Gundersen’s maturity in his songwriting. He doesn’t write like a punk kid with an attitude. “It’s not that the love is missing; it’s just not around; it’s just floating under like rivers underground. If I say I love you like you know do, would you say you love me to? If you do, I’ll keep on loving you.” The beauty, the image, even the syntax of his verses are awesome. The song’s description, though, is not complete without talking about Abby’s violin part, which fills the sound with a comfortable embrace. It works really well together. I could go on and on about Gundersen, but I’m not going to. Listen to his music and support him. I think these two albums show that Gundersen is well on his way. This final video selection is not on either of the albums, but I find it to be an extremely awesome piece of music. It’s not a dance number. It’s a contemplative yet beautiful “piece.” Take it a nice, long drag on this one. *Please be sure to share this post and Noah’s music with your friends. The only ones we can blame for awesome music not being more popular is ourselves for not sharing. Spread the music!